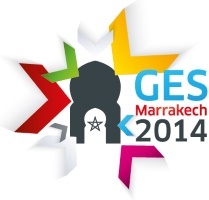 HM King Mohammed VI stressed on Thursday that Morocco is proud that the Global Entrepreneurship Summit (GES) is held for the first time in the African continent. “We are proud that this Summit, which was launched in 2009 by President Barack Obama, is being held for the first time on African soil, thereby confirming the calling and ambition of the Kingdom, for which the promotion of its partnership with the African Continent is a well thought-out, irreversible choice”, said the Sovereign in a message read out at the opening session by head of government Abdelilah Benkirane. “My country also encourages the sharing of expertise and know-how in addition to the optimization of complementarities, particularly between the countries of the South”, went on the royal message.